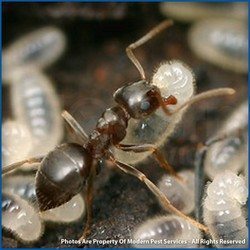 Worker crazy ants are 1/16-1/8″ (2.2-3.0mm) long. 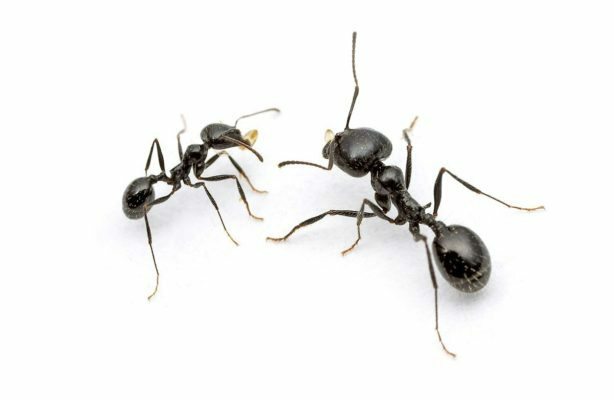 They are usually brown to black and very slender. 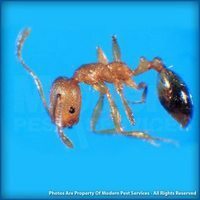 The antenna and legs are very long compared to their body size. 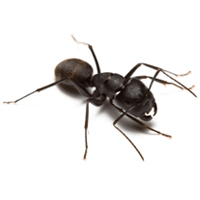 Crazy ants usually nest underneath floors and wall voids, most often near heaters or hot water pipes. 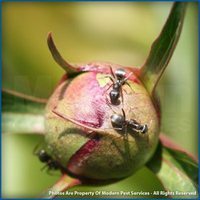 Though the preferred food for crazy ants are insects and sweets, they will eat just about any type of household food. 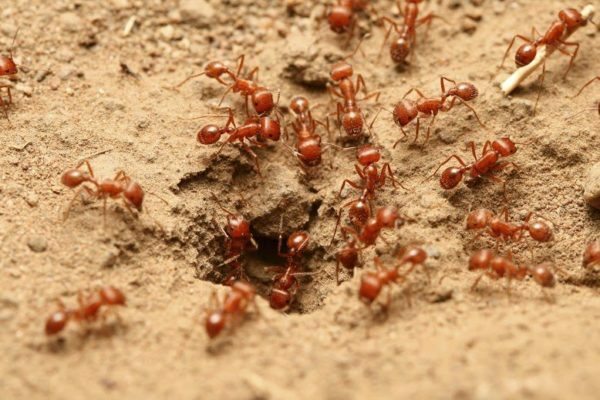 The colonies tend to be small and are compiled of up to 2,000 workers and up to 40 queens. 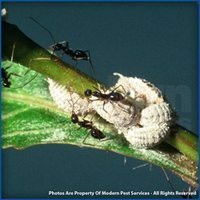 Colonies have been known to completely abandon one nesting site and move on to another for no reason.